Analyzing groundwater monitoring data that power companies are now required to report to the federal government, the Environmental Integrity Project found that groundwater under 16 Texas coal plants had unsafe levels of contaminants including arsenic. The pollution is linked to disposal pits for spent coal. As the Trump administration considers weakening Obama-era safeguards for the disposal of toxic coal waste, a new report shows that groundwater near all of Texas’ 16 monitored coal-fired power plants is contaminated with pollutants — including known carcinogens — linked to so-called coal ash. The report found that the groundwater around coal-fired plants across the state contain levels of pollutants like arsenic, boron, cobalt or lithium that would make it unsafe for human consumption. It also found that almost none of the impoundments where plants dispose of spent coal are lined properly to prevent leakage — one of the requirements of the 2015 Coal Ash Rule. EIP is a non-profit research and advocacy group founded by a former head of civil enforcement at the EPA and employs former EPA staffers. Its report calls on the EPA or the Texas Commission Environmental Quality to impose even stricter regulations for coal waste disposal. Coal ash is produced when plants burn coal to produce electricity. One of the largest sources of industrial waste in the United States, it contains contaminants like mercury, cadmium and arsenic, according to the EPA. “Without proper management, these contaminants can pollute waterways, ground water, drinking water, and the air,” according to its website, which also touts economic benefits of reuse. In some cases, EIP's report notes, contaminant levels at Texas coal plants far exceed federal health benchmarks. For example, at a plant south of San Antonio owned by the San Miguel Electric Co-Op, a plant northwest of Houston owned and operated by the Texas Municipal Power Agency, known as Gibbons Creek, and Southwestern Electric Power Company’s J. Robert Welsh Power Plant east of Dallas, the level of cobalt found in the groundwater reached more than 600 micrograms per liter — more than 100 times higher than safe levels, according to the report. And multiple wells at the San Miguel plant have boron concentrations of more than 30 milligrams per liter, exceeding EPA’s health advisory by tenfold. The report noted that all three coal ash units of the Gibbons Creek plant are on, or close to, the Gibbons Creek Reservoir, which provides cooling water for the plant but also is a recreational fishing area. 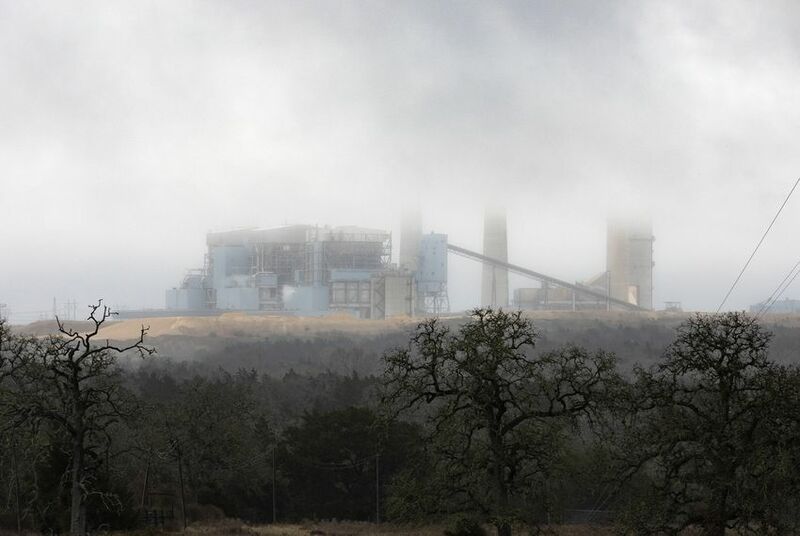 On Thursday, the Electric Reliability Council of Texas approved TMPA's request to mothball the Gibbons Creek plant; it's one of several coal plants to come offline in the state recently. Tammy Ridout, a spokeswoman for American Electric Power, the parent company of Southwestern Electric Power Company, said in an email that "The Environmental Integrity Project report alleges impacts on groundwater based on initial data that is incomplete." "One or more samples showing a higher concentration of a substance, even above a standard, does not mean that local drinking water is unsafe or that there is any impact from the ash storage site," she wrote. "AEP is conducting the additional groundwater monitoring and analysis that is required by the CCR rule to determine if there is an impact on groundwater at the site." None of the other companies immediately responded to request for comment. Bill Lauderback, LCRA executive vice president for Public Affairs, said in a statement that the report is incorrect. Despite data that indicates widespread groundwater contamination, Russ, the EIP attorney, said it’s too soon to know which plants have started shuttering their coal ash pits or cleaning them up because the process laid out in the federal coal ash rule is not complete. That process requires companies to conduct additional testing if elevated levels of a pollutant are found before the EPA would take enforcement action. "There's a compliance schedule rolling out," he said. At this point, it's generally known which plants are conducting further testing, he said, but "we don’t yet know which ones have found 'statistically significant levels' above groundwater protection standards. "That’s just one of the many flaws in the federal rule," he said, adding that EIP assumes that "most of these disposal units will eventually trigger corrective action." EPA did not immediately respond to a request for comment; a banner at the top of the agency's website on Thursday noted that online information was not being updated because of the ongoing government shutdown. U.S. coal plants produced 130 million tons of coal ash in 2014, according to the EPA, and continue to produce around 100 million tons per year, according to the report. In Texas, about 13 million tons a year is produced — enough to create a mile-high pile on a football field. Despite its risks and potential health impacts, the only real effort to regulate coal ash came with the 2015 Obama rule. The report notes that a 2008 coal ash spill in Tennessee that destroyed more than two dozen homes and killed or sickened “scores of cleanup workers,” brought attention to the issue. EIP and other environmental groups sued the EPA after that disaster in hopes of spurring regulatory action. Propping up the beleaguered coal industry was one of President Trump’s most reiterated campaign promises, and the Trump administration is now looking at unwinding the coal ash rule after industry groups petitioned the EPA last May. After EPA Administrator Scott Pruitt resigned in July, the president appointed former coal industry lobbyist Andrew Wheeler to head the agency. His confirmation hearing was held this week. The report noted that the TCEQ had devised its own plan to comply with federal regulations, but said "it would not adequately protect human health." TCEQ spokeswoman Andrea Morrow declined to comment on the report specifically, noting that EIP did not alert the agency to the report before its release. She said in a written statement that "if a release occurs, then the remedial actions are conducted in accordance with" state law, specifically what's known as the Texas Risk Reduction Program. "A rule to create a program for the management of coal ash in Texas is in development," she said. "The TCEQ continues the process of revising the draft rule due to changes to the federal coal ash rule."